Check out how I am painting the Lootaz. 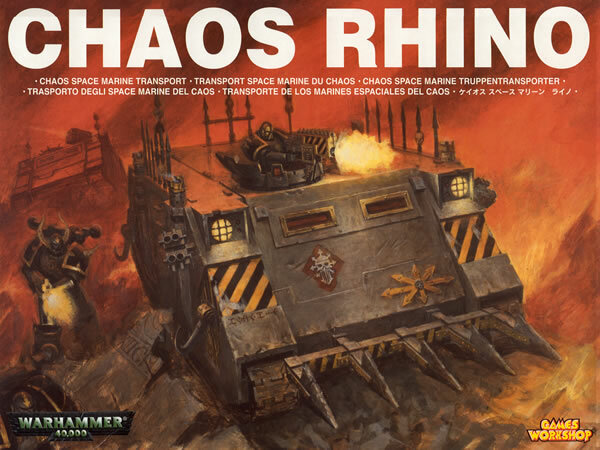 The starting point for the Looted Rhino was a Chaos Rhino. I then spent some time looking on the web for other Looted Rhinos. 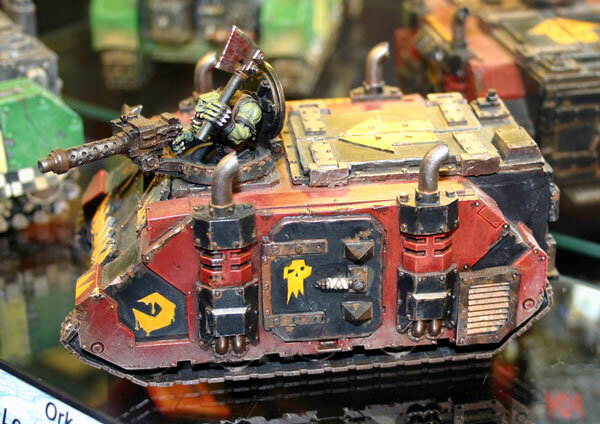 I have been looking on the web to see how other people have been converting Rhino's for use as an Ork Looted Rhino. Though I do think this is a nice model, it still looks too Imperial for my liking. 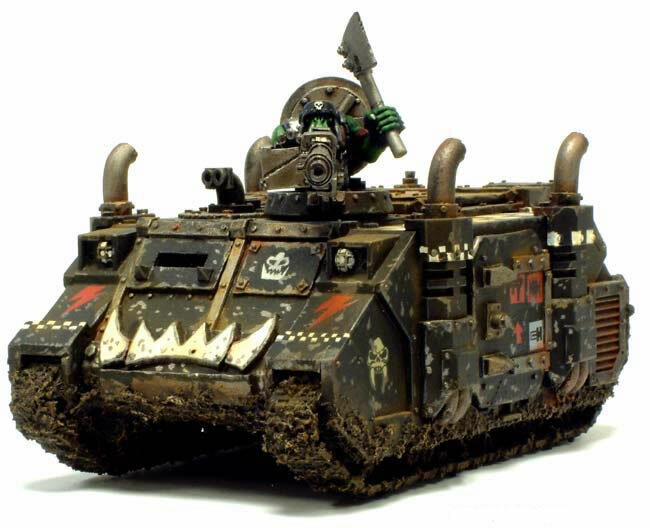 Another obvious model to look at was the Forgeworld Looted Rhino. This conversion kit contains quite a few resin pieces which replace substantial parts of the original plastic kit. This includes new doors, a new front panel and additions to the engine panels and exhausts. 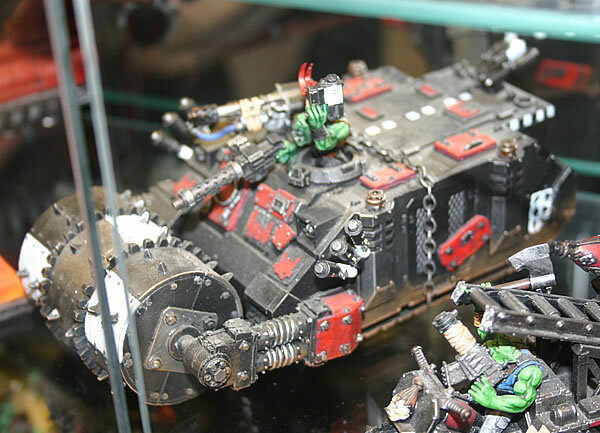 Forgeworld also had another Looted Rhino on their GamesDay display. 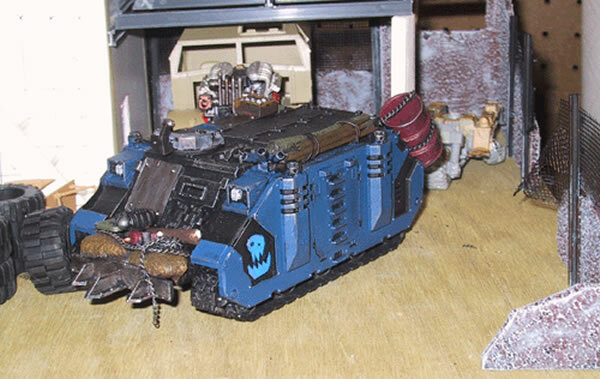 This conversion had a death roller and various Orky panels as well as a Big Shoota and grenade launchaz. Having taken on all these various versions I decided on a particular course of action. I would redo the side doors, the front panel, the rear door. I would also redo the top door and try and make a variant or two which could jsut slot into place. I wouldn't have a roller, but would use one of the Chaos spikey front ends. I decided to use the Chaos Havoc Launcher with a Killa Kan and use the supplied Burna with the Rhino.